From time to time Bernard is interviewed by the media, or is asked to contribute to TV programs about dung beetles. Nowadays we put news items on our Facebook page. Please befriend us and keep up with what we are doing. 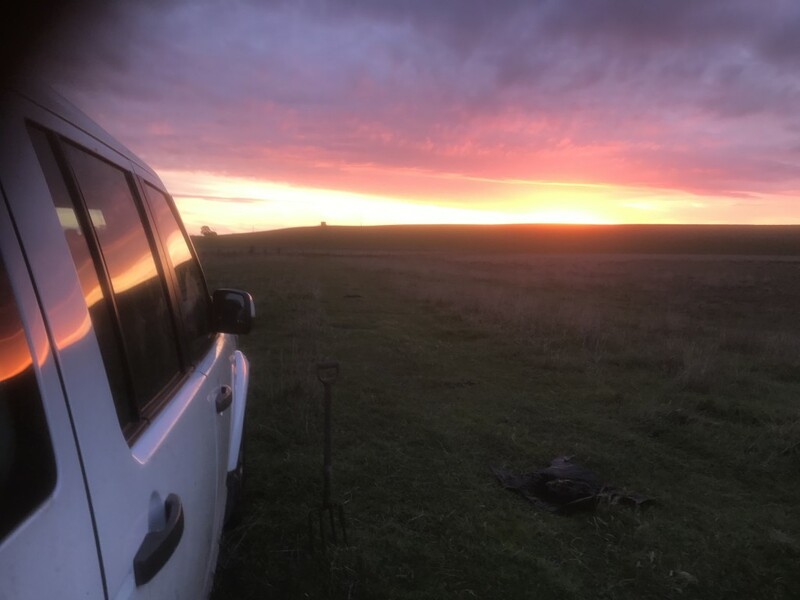 Sunset in our collecting paddock. One of the compensations! Here are some older articles. How the dung beetle is helping fight global warming, The Alternative.in, 28 May 2015, lots of images and simply expressed info about dung beetles and their benefits. They report that a National Geographic reports claims that the ‘dung decomposing capabilities [of dung beetles have] helped reduce greenhouse effect by as much as 40%’. This is well worth a read. Dung Beetle Abundance and Diversity in Alpaca Pastures in SE Virginia, American Society of Animal Science Publications, no date, an informative poster about dung beetles and alpaca poo. With Lots Of Poop, Midwest Farmers Look To Dung Beetles For Help, Kcur.org, 5 May 2015, tells a good story, about dung beetle benefits (e.g. saving money and reducing greenhouse gasses), and a sad story, about use of pesticides killing dung beetles. Horses, Bugs & Beetles with Dr Bernard Doube, 25 March 2015, a Horse SA hosted webinar (YouTube). Bernard discusses integrated management of parasites, pastures and dung beetles on horse properties. 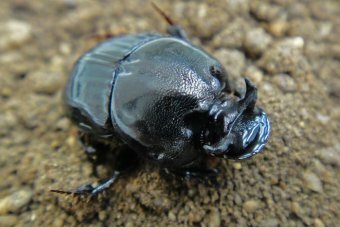 Warming climate could make life too hot for essential environmental work by dung beetles, ABC Rural, 10 March 2015. Dr Jean Drayton has won the Science and Innovation Award for Young People in Agriculture, Fisheries and Forestry for the dairy industry and she will study the impact of rising temperatures on dung beetles’ dung burial activity and at the role dung beetles play in reducing emissions of methane. Horses Bugs & Beetles a new (as of 5 March 2015) website featuring information provided in 8 fact sheets that Bernard has written in association with Horse SA. The fact sheets aim to raise awareness among horse property managers, owners and agistees about sustainable horse keeping through promoting dung beetle health and reducing the use of chemicals. 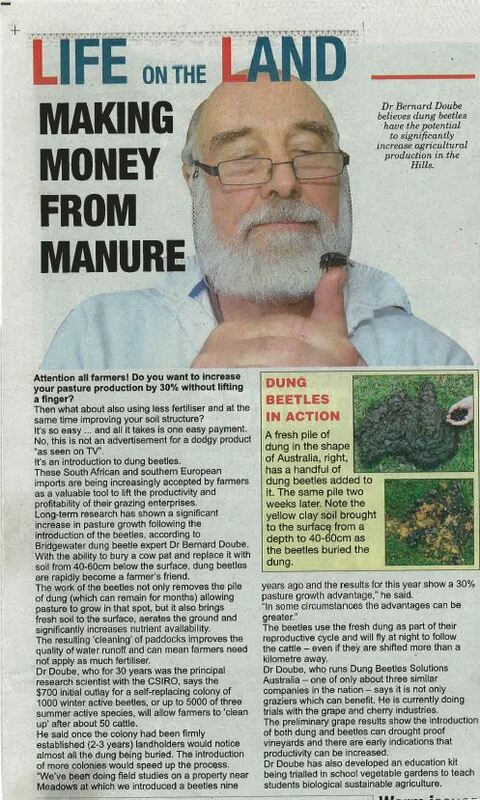 Mighty dung beetle the star of horse paddocks 6 March 2015. 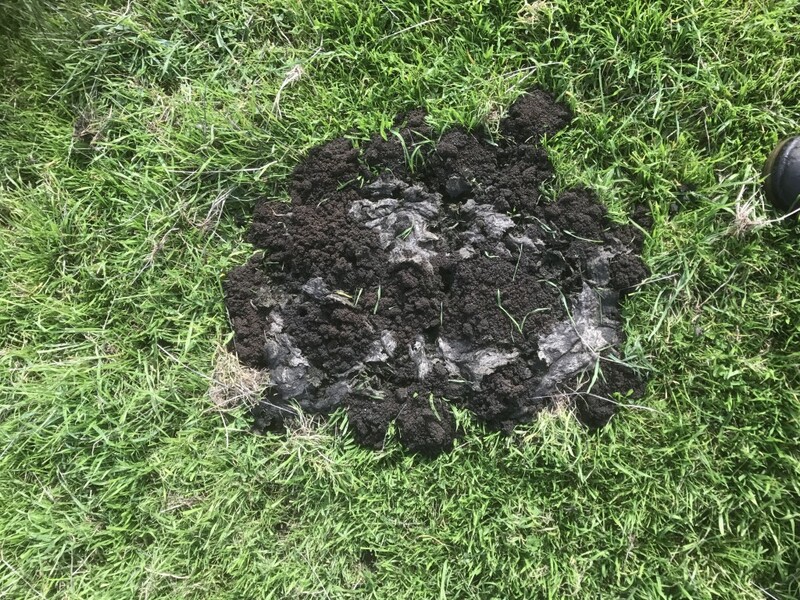 A New Zealand article about the new Horse SA website promoting dung beetles, chemical use and sustainable horse management. Bernard collaborated with Horse SA to produce 8 fact sheets ion which the website information is based. Perth residents bothered by fewer flies this summer, ABC Perth News 26 Feb 2015 . All because of dung beetles. Dung beetles: is sifting through poop actually beneficial to our climate? This article refers to evidence that dung beetles mitigate the effects of climate change by reducing methane and nitrous oxide emissions. The original scientific article is Quantifying Beetle-Mediated Effects on Gas Fluxes from Dung Pats (more difficult to read). Dung beetles in detail, Stock Journal, 28 July 2014. Beetles dig deep to lift production, Stock Journal, 29 June 2014. Smelly solution to boosting soil quality in vineyards, ABC, 13 March 2014. 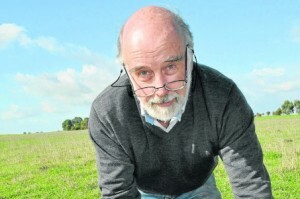 An article about a trial Bernard is doing on dung beetles in vineyards. You can hear Bernard talk about the trial too. Flight of the Dung Beetle – Narrated by David Attenborough – Operation Dung Beetle – BBC, posted on YouTube on 2 February 2014. This video is about ball rollers in southern Africa. There are some native ball rollers in Australia and two introduced ball rollers. The latter occur in Northern Australia and northern New South Wales. 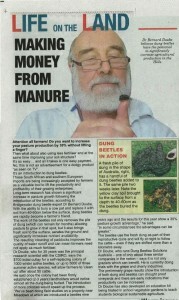 ‘Making money from manure’, article featuring Bernard, in the Adelaide Hills Courier, 20 November 2013. Aussie dung beetles to help NZ out of the poo, which reports Bernard’s support for New Zealand scientists in taking dung beetles to New Zealand to help them with their pasture dung problem.